PLYMOUTH Leander and Mount Kelly College made medal-winning starts to the National Winter Meet in Sheffield on Wednesday night. 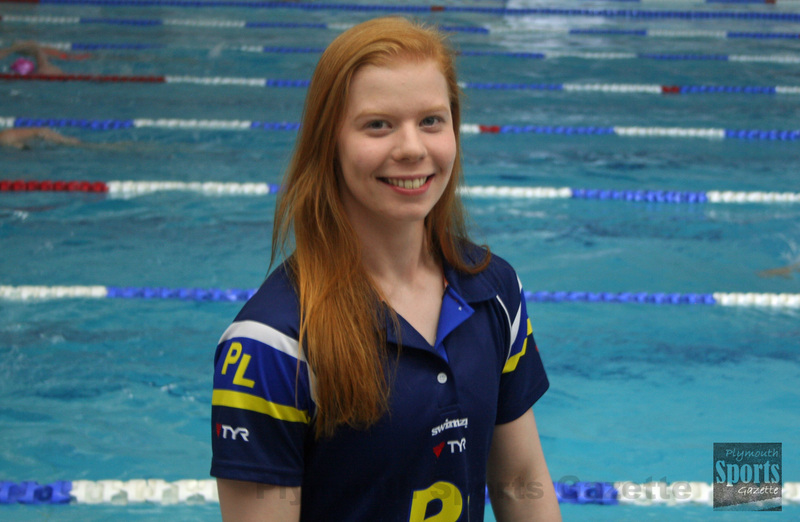 Leander’s Laura Stephens (pictured top) became the national 100m butterfly champion with a 58.70 second swim at Ponds Forge. Stephens, 18, was second overall in the final, but was only beaten by Canadian guest Rebecca Smith, who clocked 58.18 seconds. Third athlete to touch was Loughborough’s Harriet West, who stopped the clock in 59.25 seconds. Mount Kelly, meanwhile, made the podium in the women’s 4x100m freestyle relay. They had qualified for the final fastest, but on the night were just edged out for gold by Stockport Metro. Mount Kelly clocked 3:51.27 minutes, which was less than a second behind Stockport and more than six seconds ahead of third-placed Nova Cent’n. Their quartet in the final was made up of Emily Haimes, Athena Clayson, Kaylee Dekker and Georgina Dennis. Plymouth Leander’s Jessica Jackson came close to making the podium in the women’s 200m freestyle. She was fourth British swimmer home in 2:00.94, with two Canadian athletes in the race not eligible for national medals. The event was won by Ellie Faulkner. Mount Kelly’s Dennis and Clayson both reached the B final in that event. Dennis clocked 2:04.38 and Clayson 2:05.45. There was a personal best performance from Plymouth Leander’s Adam Chillingworth in the men’s 200m breaststroke final. He finished sixth in 2:16.83. There was also a PB for his club colleague David Miller in the B final. He touched in 2:19.93. Another Leander to claim a sixth-place finish was Robert Fannon in the men’s 50m butterfly A final. He clocked 24.62 seconds. In the same race, Mount Kelly’s 16-year-old Italian star Federico Burdisso came eighth in 24.73 seconds. In the B final, Leander’s Edoardo Valsecchi was second in 24.77, Mount Kelly’s Sam Dailley fourth in 24.94 and Leander’s Reece Dunn eighth in 25.05. Leander’s Perry Gardner reached men’s 100m backstroke A final, where he finished eighth in 56.03. Mount Kelly’s Annachiara Bernardi, Niamh Robinson and Dekker all reached B finals. The action in Sheffield continues through to Sunday. 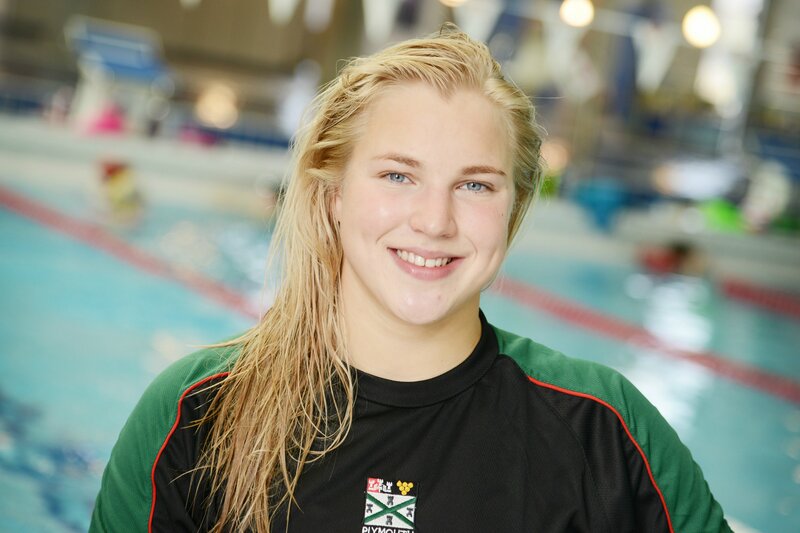 Meanwhile, former Plymouth College pupil Ruta Meilutyte returned to title-winning form with victory in the women’s 50m breaststroke event at the European Short Course Championships in Copenhagen. The 20-year-old 2012 Olympic champion clocked 29.36 seconds to claim the title she first won as a 16-year-old back in 2013.